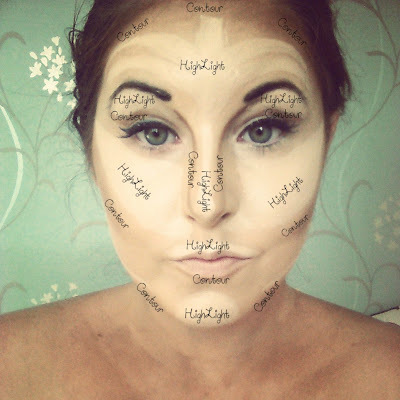 Contouring & highlighting can be a lengthy process if you don't know which areas to pinpoint, but I'm hoping this guide will give you the know how you need to accentuate and define all throughout your face! step 1: choose your kit! 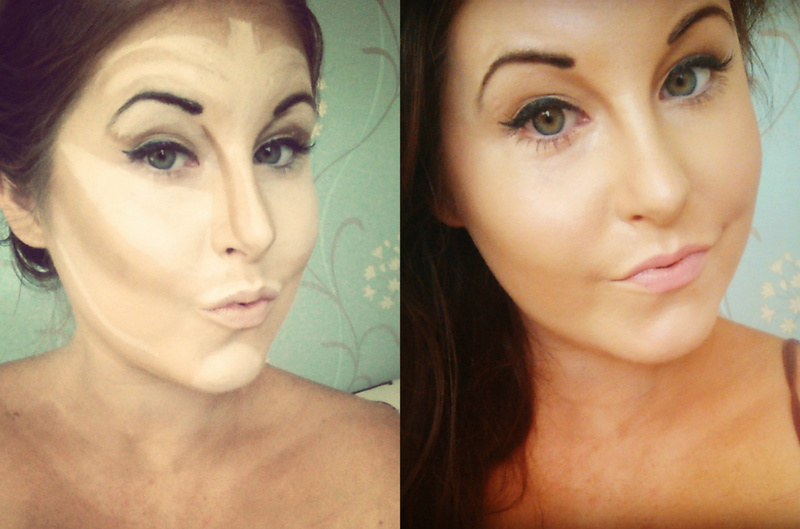 step 2; contour & Highlight your heart out! 1. First swipe from the centre of my forehead right down my nose using my ELF Eye crease brush- this will give the effect of a slim nose. 2. Then use your ring finger to create a 'palm tree' look on your forehead by blending out the highlighter you just applied. 3. Next, apply highlighter just underneath your eyebrows (aka, your brow bone) using your ELF Smudge brush. 4. I then highlight from the apples of my cheeks to my temples using my MUA blusher and contour brush. 6. 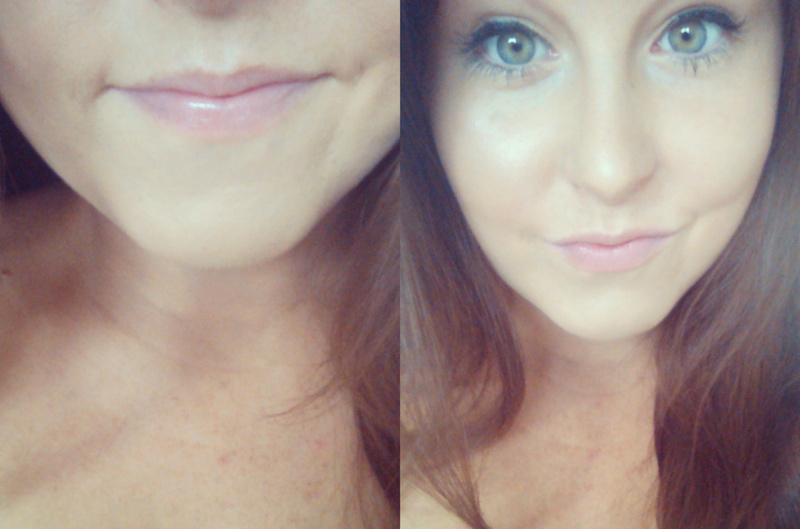 I then highlight my chin using my MUA blusher and contour brush. 7. Finally I highlight just underneath my cheek bones using my MUA blusher and contour brush. This will give the illusion of lifting your cheek bones. It is important to remember that if you have a certain area on your face that you aren't too fond of - don't highlight it, as highlighting is designed to accentuate areas of your face, so if you don't like your nose, for example, highlighting will just make it stand out more to you! 1. I start by taking my MUA blush and contour brush and my MUA bronzer and contouring right around my hairline, from temple to temple. 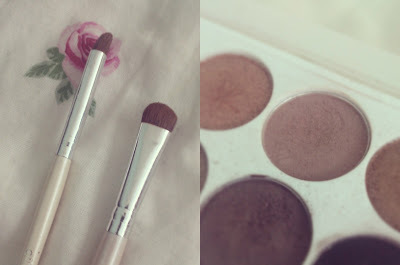 2.Secondly I use my ELF eye crease brush and my MUA undress me too palette (the matte brown shade pictured above) to contour my eyelid crease, this will define the eye socket and give the appearance of larger eyes. 4. 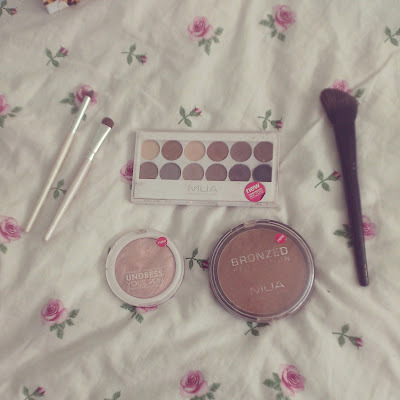 Its time to grab that MUA blusher and contour brush and MUA bronzed perfection as its cheekbone time! Make sure to get a considerable amount of product on the brush and gently sweep from under the apple of your cheek up to your temple, this will give great structured cheeks! 6. And finally I contour under my chin and up to my ears to define my jawline. Now gently smudge and blend everything in and you will look beautifully defined!! 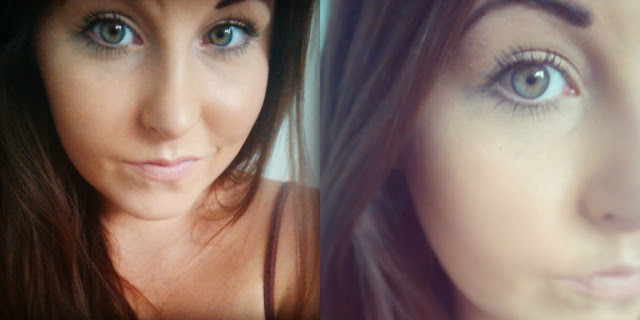 Here is a before and after - you can see what a difference this routine makes! Please make sure to take your make up before bedtime, to let your skin breathe and stop all that makeup clogging up your pores! What is your favorite area to highlight and contour?! 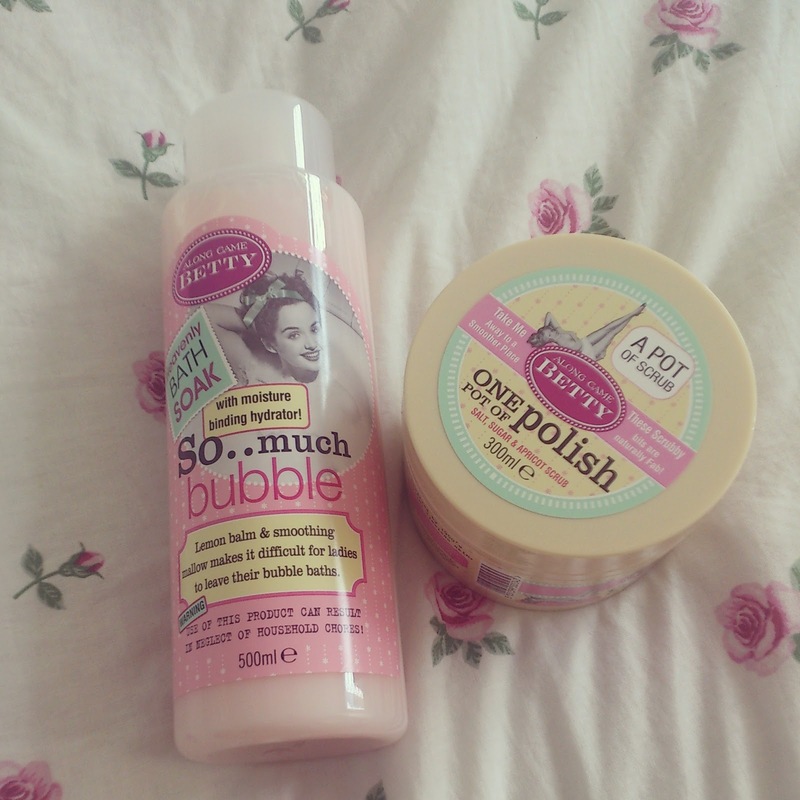 I was very happy recently when Dan treated me to some new bath Goodies, I am a sucker for anything pink && vintagey so these were right up my street! 'Along Came Betty' are a new brand of beauty products sold at Tesco, with a wide range offering everything from bath & body treats to make up & NailCare! They have the look of 'Soap&Glory' products, the only exception being the very reasonable price tag! 'So..Much Bubble' is a gorgeous, rich bubble bath which gives amazing hydration! 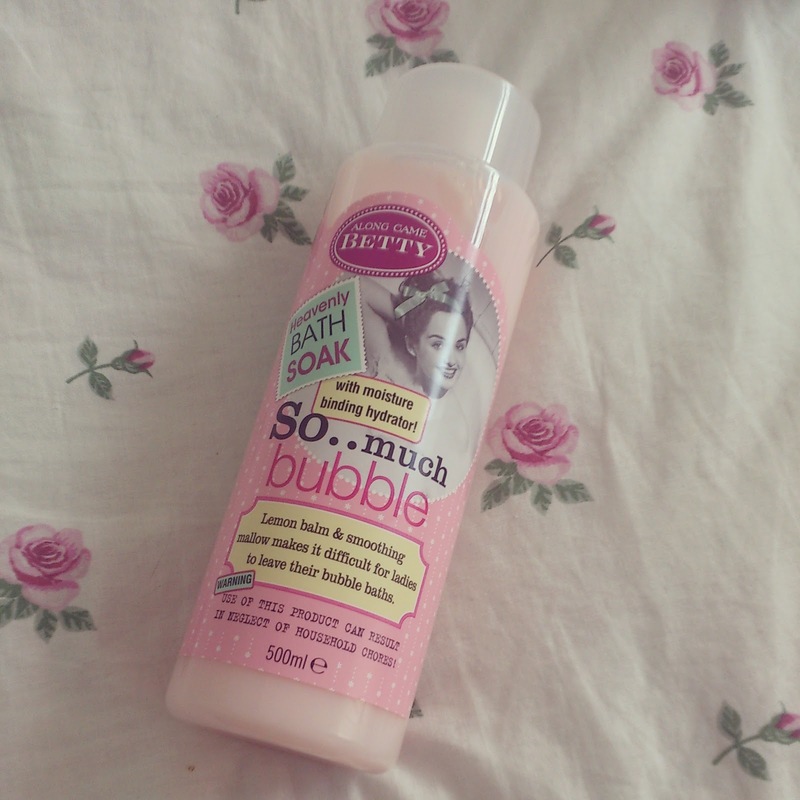 I really love the packaging of the bubblebath, it is all pink and vintagey and girly - so perfect! The product matched up to the packaging just as well, it is like liquid silk and is perfectly pastel pink! Meet my new best friend 'One pot of polish' - it is everything I had ever wanted from a body scrub - course but not harsh on skin, sweet scented, and made with natural oils which give you a beautiful glow and amazingly soft skin! I used this just before applying some fake tan and I could really see the difference, there were no dark patches and my knees and elbows weren't all orange - and it was all thanks to 'one pot of polish' removing ALL my dead skin! The scrub consistency is not what I had expected - although it was course, the consistency was still liquid, so it was easy to remove from the pot and best of all it had a wonderful apricot and almond aroma! This product retails at £5.99 but currently has 1/3 off at Tesco! What is your favourite body care brand? As I'm sure a lot of you probably don't want to hear, Autumn is fast approaching - and so are those fresh mornings and dark nights. It'll soon be time to say goodbye to summer and get ready for the new fall fashions. I Love the Autumn, it's my favourite time of year, but one thing I don't love so much about it, is what it does to your skin. The cold weather can lead to dry, broken skin - particularly on your lips, which are always exposed to weather conditions - that's why it is so important to think ahead and invest in a lip product that will protect you and see your delicate lip skin all throughout the colder months into next spring. 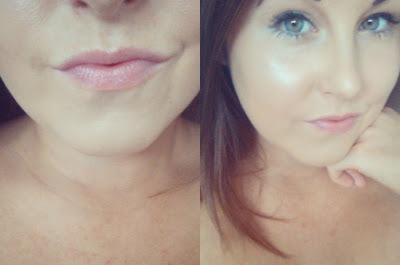 I have put four popular brands to the test to battle out for title of 'Lip savior 2013'! Like many girls, I have been waiting a long time for this products UK launch. It is insanely popular with celebrities Stateside, and retails at £2.99 (Superdrug have a 3for2 offer on them right now). I bought the 'Hydrate' version of this lip balm, there are 5 others available - some with slight tints to them! This balm promises baby soft lips, mosturised for 8 hours - and it didn't disappoint! The balm glides on effortlessly without dragging the lips and almost feels like a gloss more than a basic balm! 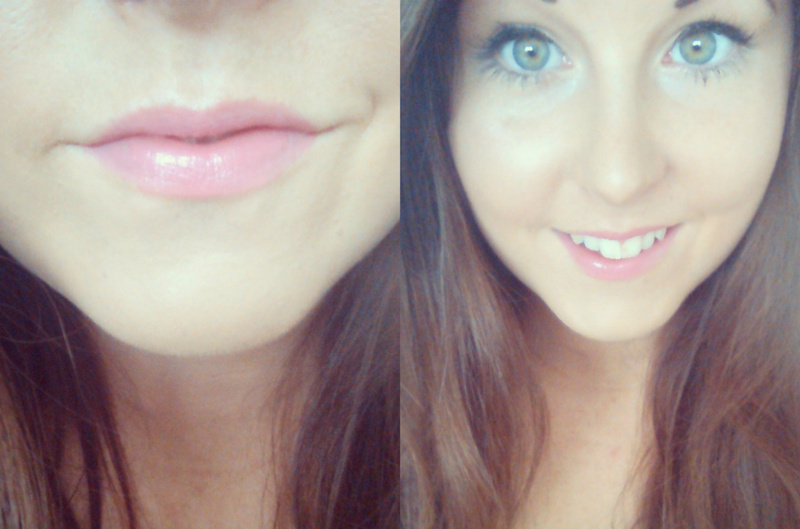 I chose an un-tinted version but it still made my lips pretty and shiny and let me say, a little goes a long way! The packaging comes in an array of bright colours that reflect the fun side of Maybelline and I found that even though I left this balm in my handbag - it didn't start to melt! Best for; Ladies on the go, ladies who don't like to wear color on their lips. The product has a lot of hype around it and has been compared to the Chubby Sticks by Clinique - for £3 it is worth a try! 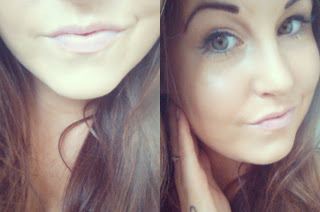 I purchased this lip crayon, in 'Broken hearted' which is a fair pink shade! It promises 'colour intensity that relieves dry, cracked lips providing immediate moisturisation' - every word being truthful! As soon as I applied this (which was super easy, by the way!) I felt a lovely minty, tingling sensation, and I loved the slight tint it gave my lips - lipcare has never been so glamorous! && if that isn't enough to convince you, put it like this - you could own the whole MUA 'Power Pout' collection for the same price as owning one Clinique chubby stick. pro's; lovely minty scent, wonderful choice in colours, bargain price, works wonders! con's; The lid comes off a little easy so be careful when its in your handbag! Best for; Ladies who love a splash of colour with their lip care. Lip Smackers is a household name and boast over 800 'flavours' of lip balm, this one is just £3.50! 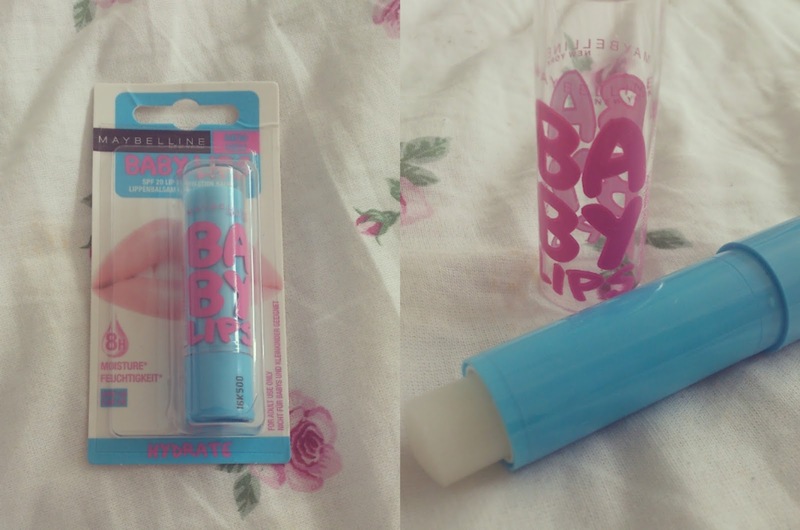 This lip-balm is so cute and reminded me of my childhood when I used to buy Lipsmackers from Claires Accessories. It smells (& tastes!) 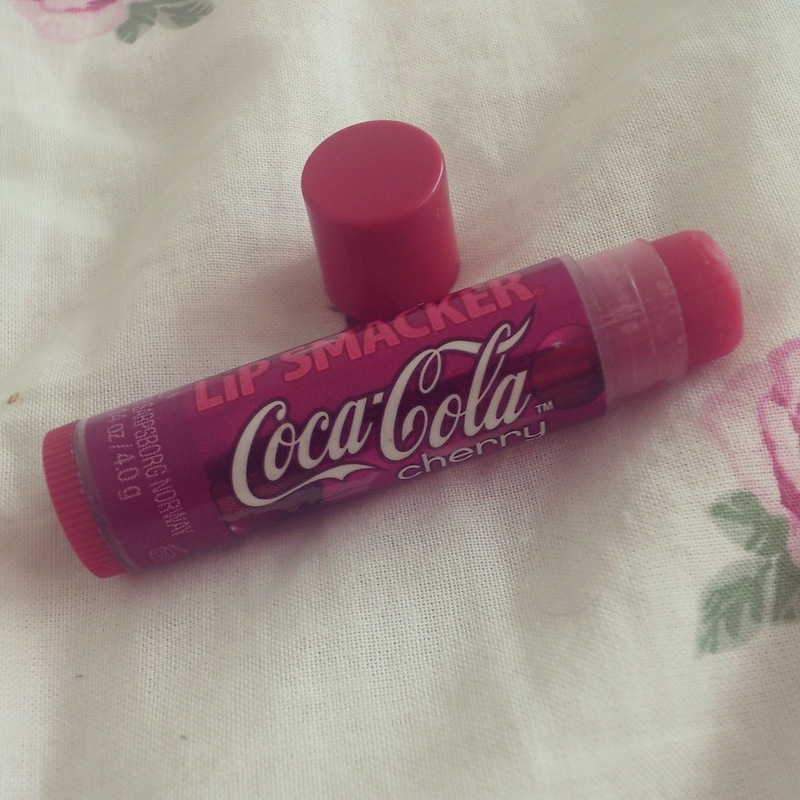 Just like coca-cola cherry and gave my lips a tiny hint of sheer red. My Lips felt so smooth and hydrated for hours after using this and they didn't feel sticky or tacky at all! pro's; Great packaging, Lovely fizzy feel, Great taste, comes in a flavour for everyoen! Con's; I haven't come across anything I didn't like about this product! 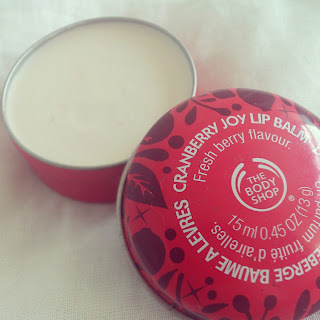 Last up is the Body Shop Cranberry Joy Lip Balm - This will be available at Christmas time and retails at £4. To be honest, this was my least favourite out of the 4 I tried. I think the best time to use this product would be at night, leaving it to work its magic while you sleep. I wouldn't recommend re-applying it during the day, unless you like the invisible lip look. Con's; Left my lips white, had to apply with fingers so I had sticky hands after! 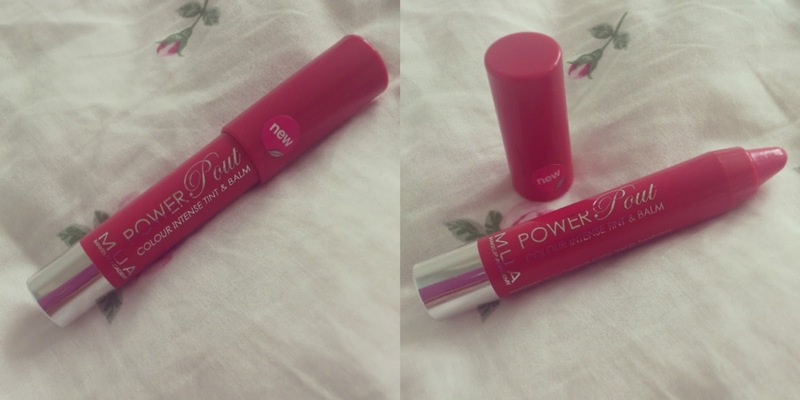 And the winner is; MUA Power Pout!! Stats; £3. Comes in a variety of colours.Tint,Moisturiser&Gloss in one. I Recently saw on 'Victorias Vintage' Blog (Here) That she had written a piece about what her daily MakeUp Routine amounted to, which got me thinking about mine! 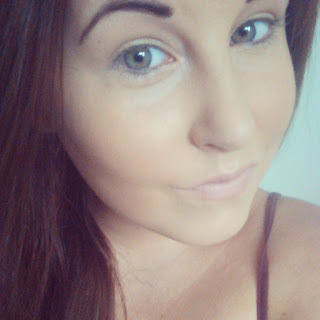 I mainly use Highstreet make up but I know how quickly each penny can add up so I wanted to put it to the test!
. 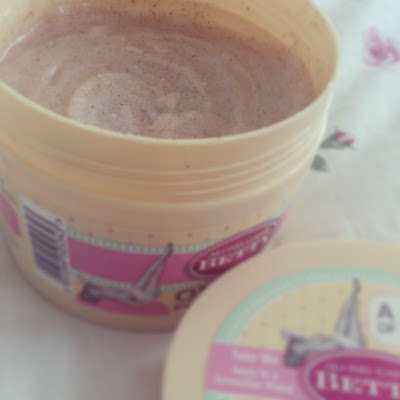 I always apply some Body Shop Seaweed mattifying moitsure lotion £11. This Gives me SPF 15 protection and helps my make up apply more evenly.
. I use a mix of MUA Undress Your Skin Illuminating Foundation £5 and MUA Matte Perfect Shine Control Foundation £2 to get the perfect shade for me.
. 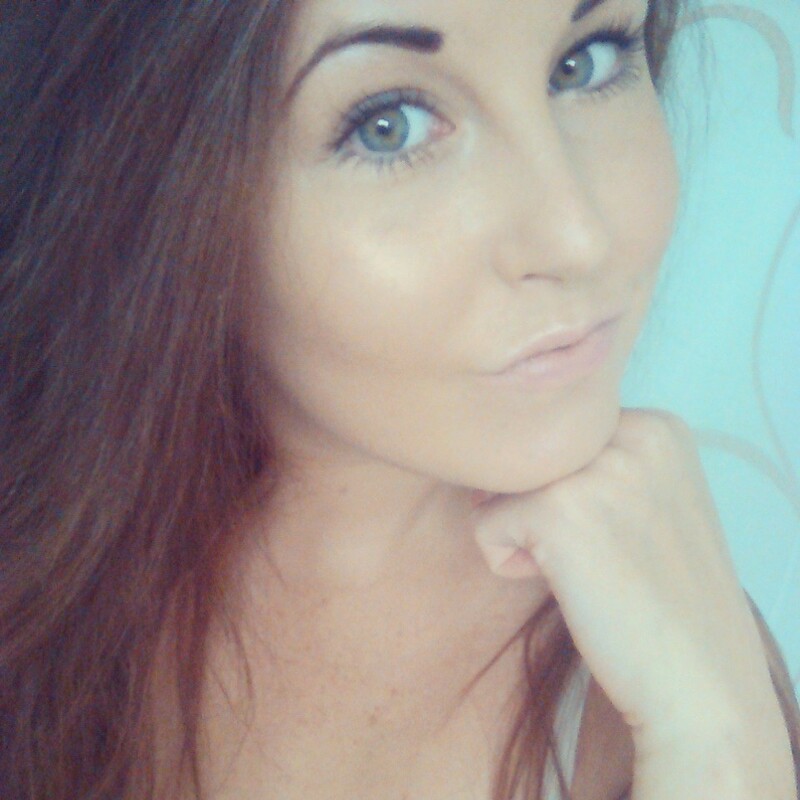 I then contour my face with some MUA Bronzed Perfection £3, along my cheekbones, down the sides of my nose and under my chin.
. I then apply a coat of L'oreal telescopic carbon black mascara £12 and let this dry. So, my grand total is £113.17 - I really cant believe it! 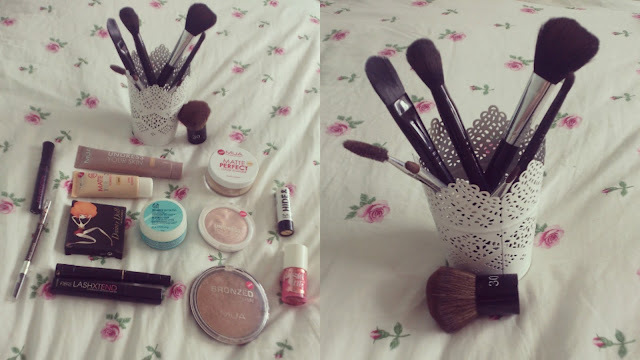 I had no idea I spent so much on my Makeup! i am actually in shock! Sometimes I switch my Posie tint to my favourite red liner from MUA £1, bringing my total to £89.67 - which is still alot, I really cant believe how quickly everything adds up! 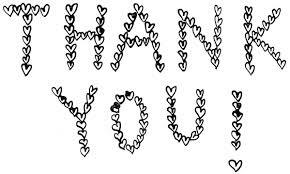 I need to say a special 'Thankyou' to everyone who has helped me achieve over 4000 views on my blog Since it started back in March! I hope you have all been enjoying what I have been posting so far because I have certainly enjoyed writing for you! I want to tell you all that I have started my own official page for the blog on Facebook, I post pictures and tips everyday and I love to get posts seeing what make-up & nail looks you've created, plus ideas on what you'd love to see me blog about in the future - you could even send me the link to your blog! So if you want to join in the fun, just head on over and give me a like - you can find my page right here! Thankyou all for your support and I look forward to meeting you! I don't usually post things like this, but I have to share such a fantastic place with you all! 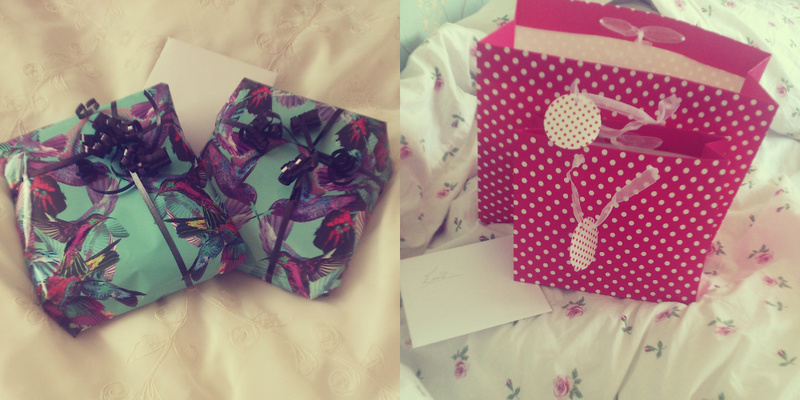 It was Mine and Dan's 4 Year anniversary last week & I was very spoilt! We both woke up with lots of presents! 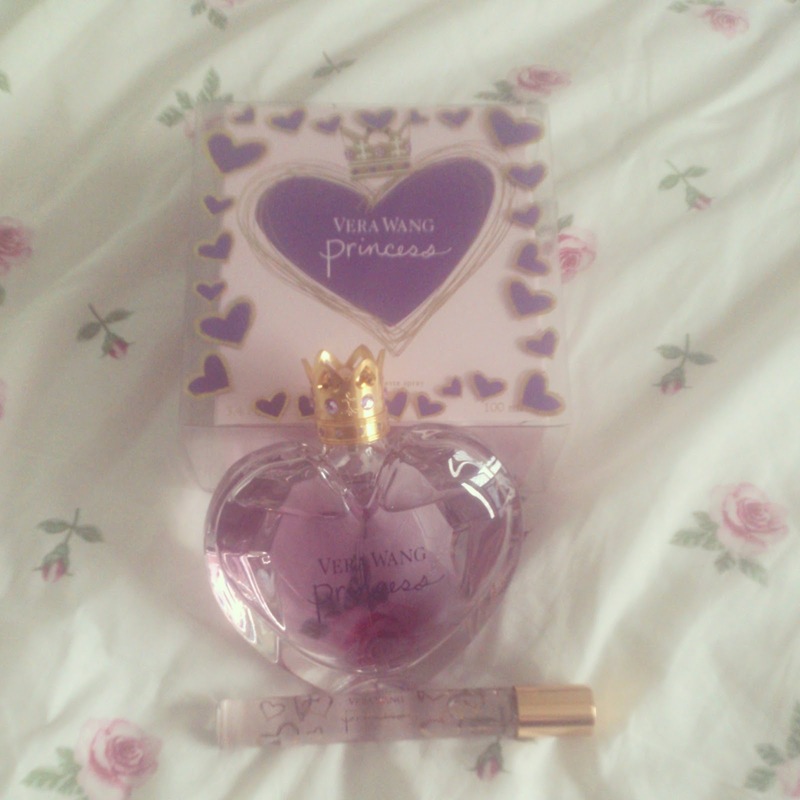 Dan bought me my favourite perfume ever - Princess by Vera Wang! It comes in a beautiful heart shaped bottle with a golden crown lid and smells like angels! It is so sweet and girly! 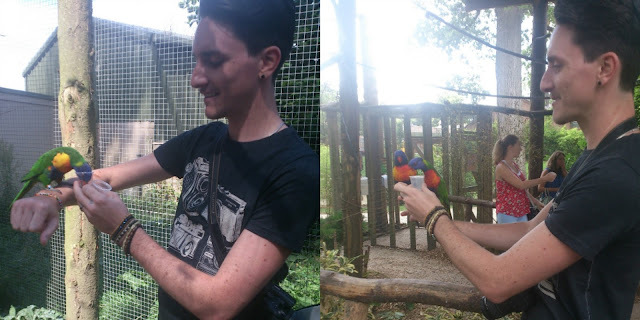 && best of all, Dan took me for a day out at Longleat safari park! I love going to the zoo - long road trips to get there, exploring the grand houses & land & of course, seeing all the lovely animals! It was a warm Sunny day so I decided to wear my pretty polka dot denim dress and my golden collar clips! I saw some amazing animals at Longleat, some which I had never even seen before! && the best part was we were able to get so close to the animals - most of them were free to run around large spaces right & over your toes - not confined behind glass, like all the other zoo's I had been to before! We ate ice-creams & pizza in the sunshine! 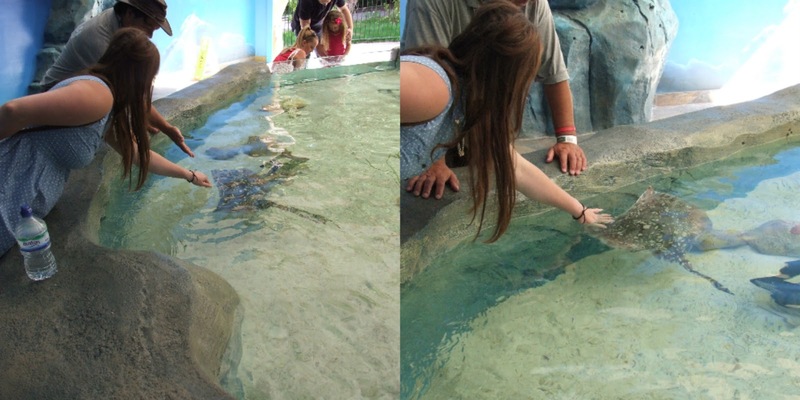 I even got to touch a stingray! I love them and have always wanted to do this but have never had the chance before! & best of all, we got to drive through the lion enclosure, Big cats are my favourite animals and this was such a magical thing to do! The lions came right over to our car and I got some amazing photos of their beauty - I was not scared, just amazed! 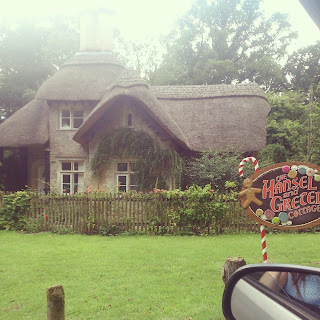 There was so much to do at Longleat, hedge mazes, tours, riverboats, safaris and lots of gift stores and stalls, we just couldnt fit it all in, so we will certainly be going back very soon! 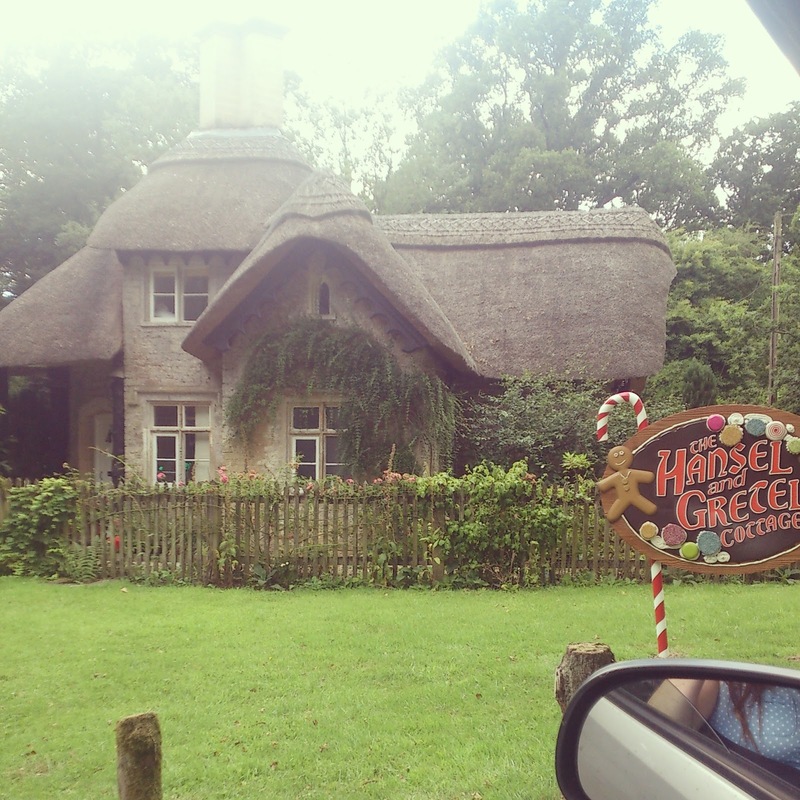 I also spotted this adorable little cottage on the drive around the safari park! Which is your favourite zoo?! If you Can find me a Girl who doesn't love Beautiful Jewelry at affordable prices, then I'm sure this Blog Post would change her mind! I have always been a massive Jewelry collector so when the lovely Greta of Jewelry Site 'CharmNest' contacted me recently about her wonderful new website I was more than excited and I couldn't resist taking a look! The 'VNecklace' immediately caught my eye when browsing the necklace section - I love the colours, the shape & I Really love the bold block against the delicate golden Tribal pattern! The chain on this Necklace is nice & long too which is really fashionable right now! I'd love to wear this necklace at a festival! It will also give the perfect edge to a girlie outfit in the spring/summer months - and for just £4 how could I say no! The necklace looks lovely against my white blouse! 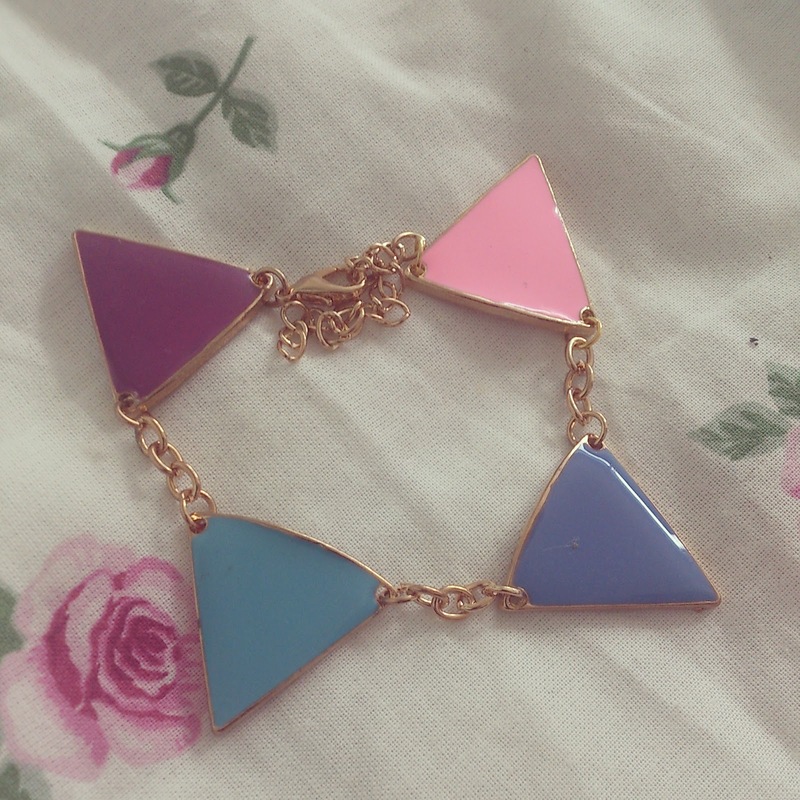 I am so in love with the adorable 'Colourful Triangle Bracelet' its so sweet & cute - right up my street! 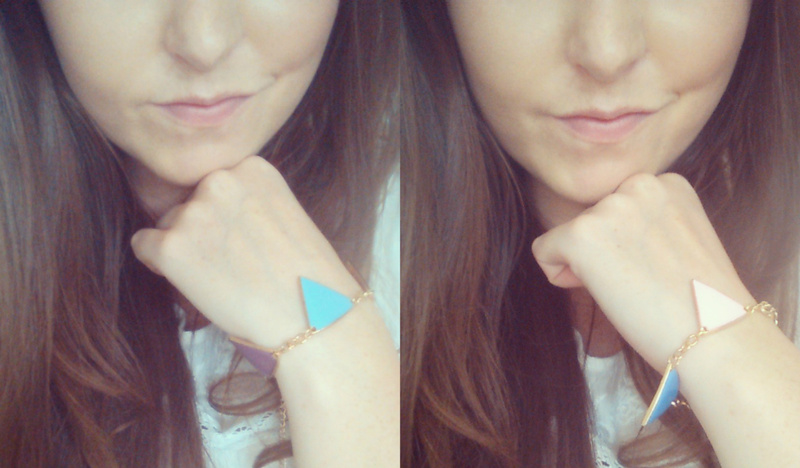 The bracelet features 4 little triangles (which remind me of bunting!) each in a different pop of colour, all held together on a delicate golden chain - This piece would go great with any style of summer outfit, or would brighten up a winter outfit perfectly! This gorgeous item was only £3.50 so I just couldnt help myself! I really like the way that the bracelet hangs on my wrist, it's so girlie & lovely! It can also be adjusted to any wrist size! 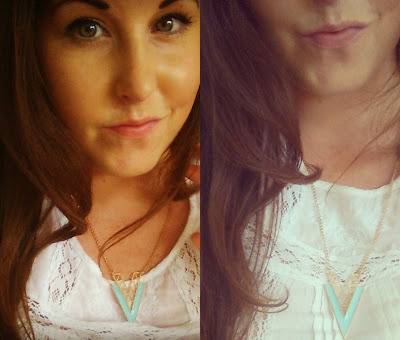 This has to be one of my favourite pieces on the website because it is so versatile! 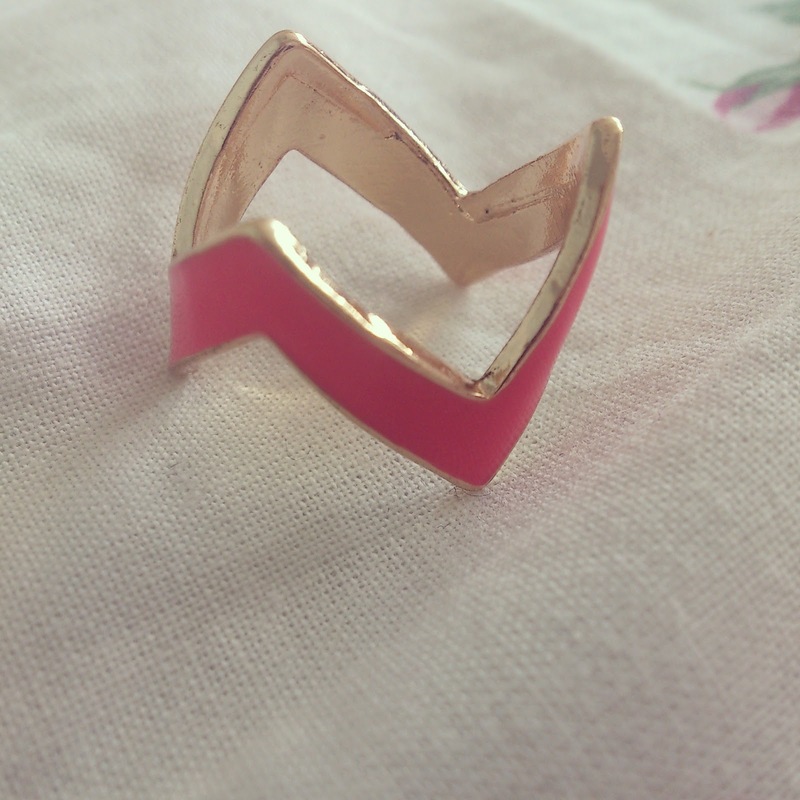 The 'Funky Ring' has a wonderful Aztec-pointed design and comes in this lovely hot pink and also a popping green! 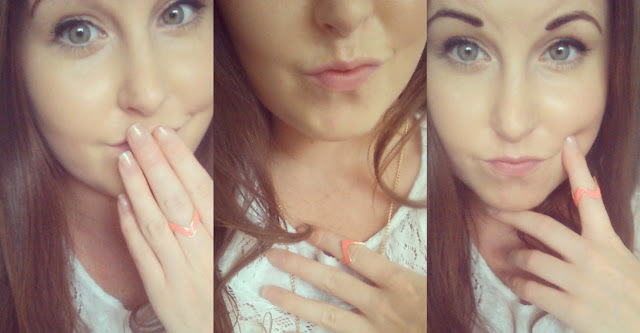 The ring fitted on each of my fingers so you could easily accessorise your hands however you like to! For only £2 I couldnt pass it up! I really love the colour of the ring as it is so on trend and eye-catching - I have not seen anything like this in the shops! 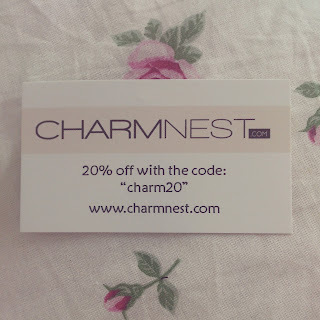 Greta is also running an amazing offer for all first-time buyers; 20% off your first order with CharmNest! All you need to do is enter the code 'charm20' when you check out - so there really is no better excuse to treat yourself! Which are your favourite Pieces from CharmNest? 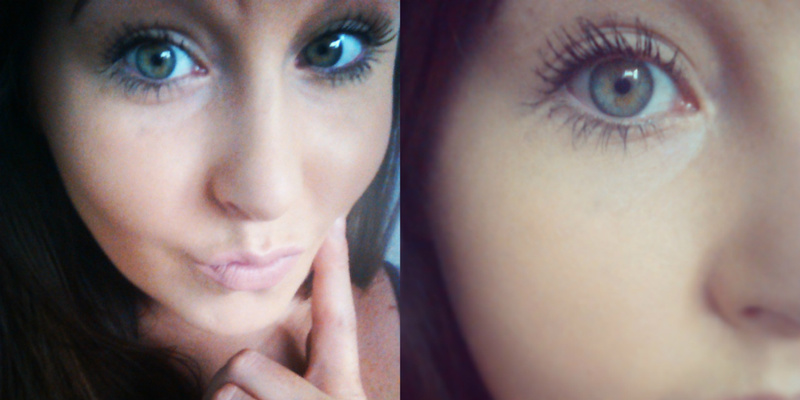 They Say That your Eyes are the window to your soul - so Frame Your eyes and show them how beautiful your soul is! 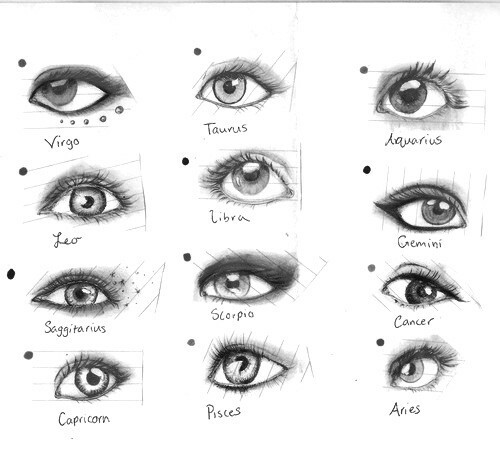 Some people believe that Your eyeshape is determined by your Starsign - What do you think? Does your eye shape Match Up to the Chart? Whatever eye shape you have - they are all beautiful and can all be enhanced to give an extra WOW factor! Whether you Prefer liquid, Gel or pencil Liner, there's no denying that Eyeliner does wonderful things for your eyes - opening them up, creating mystery and drama and even unleashing your creativity! Here are some of the most widely Used Liners for Different Eyeshapes! Any of these can be easily created with you preferred liner type! If you have 'Hooded eyes' (eyes which are deep set and don't show your upper lid) it is best to use more simple eyeliner designs - these will give you the detail and intensity you want without swamping your eyes! I would suggest styles 2 & 7! Hooded Eyes make for a more Prominent brow bone - so make sure you highlight this key area! If you have Monolid eyes (eyes which have a mostly flat surface and no crease) it is a good idea to keep it like style 6! This will Open your eyes and define them, but wont overload them! You can Create a more defined shape in your eye by blending darker eyeshadows by your lashline up to lighter eyeshadows by the brow bone! If you have protruding eyes, (eyes with larger lids) it is great to use thicker style liners, such as 1 & 4! You have a lot of eye space to play with so great creative! If you have close set eyes (eyes which are quite close together) it is best to avoid using any dark colours on the inner corners - so try to stick with styles like 1 & 10 :) You can create the illusion of wider, larger eyes by dusting light eyeshadows on the inner corners! 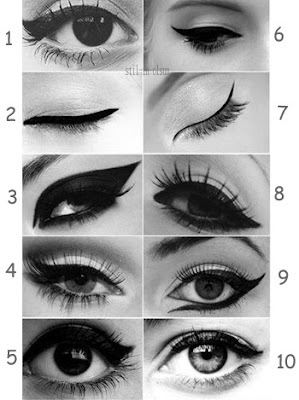 If you have wide set eyes (eyes which are more than an eyeball apart) you can chose styles like 8&9 where the top and bottom lashline is painted (close to the tearduct!) this will bring the eyes closer together and intensify them! Whatever eyeshape you have - get creative, wear what feels best to you and choose styles you enjoy making! But what about Mascara? We've all seen the adverts where the women blatantly have 1000's of eyelash inserts on but claim to give the biggest, boldest result in just one swipe! How can we really get the biggest, best lashes? 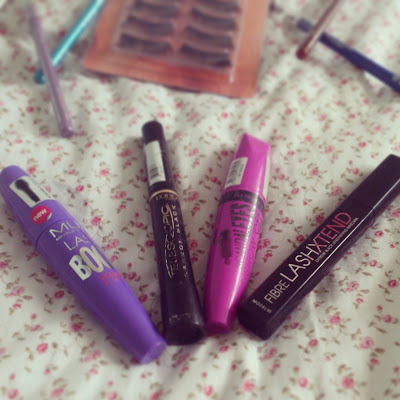 I have Chosen 4 of the Best-Selling and New Mascaras to put to the test! Without Mascara my Natural Lashes appear short , fair and barely visible, but with mascara great things can happen! First up is Lash Boom By 'MUA'! This Mascara was launched only this week - brand new! It retails at just £3 so (Like all MUA Products) it is a bargain buy! The Brush is Great as it has a narrow base with a ball tip which means you can really get into all the corners of your eyes and swipe those little, hard-to-reach lashes for a full impact look! 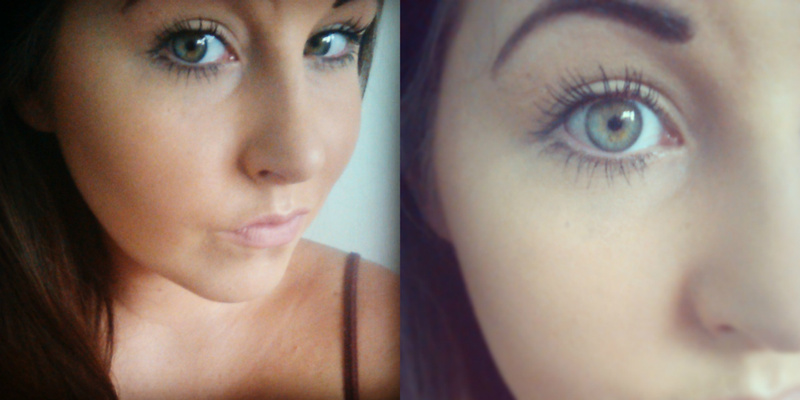 Here are how my eyelashes appear after one swipe of the MUA Lash BOOM! The mascara promises to 'Magnify your lashes for a spectacular false lash effect' and it didn't disappoint! I dont know if my eyelashes look as good as falsies but they certainly felt lovely and fluttery. The Mascara was also great as it made my lashes appear very dark - which i love! The only mior gripe i have about this mascara is that it is a little wet - but as long as you wait between coats you shouldnt have a problem with clumping! 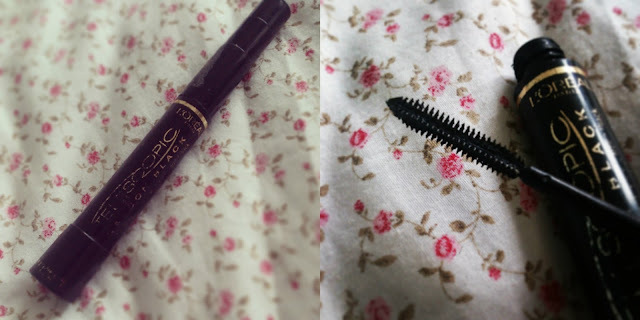 Next up is L'oreal telescopic Carbon Black Mascara! This has been my favourite for a long time now! 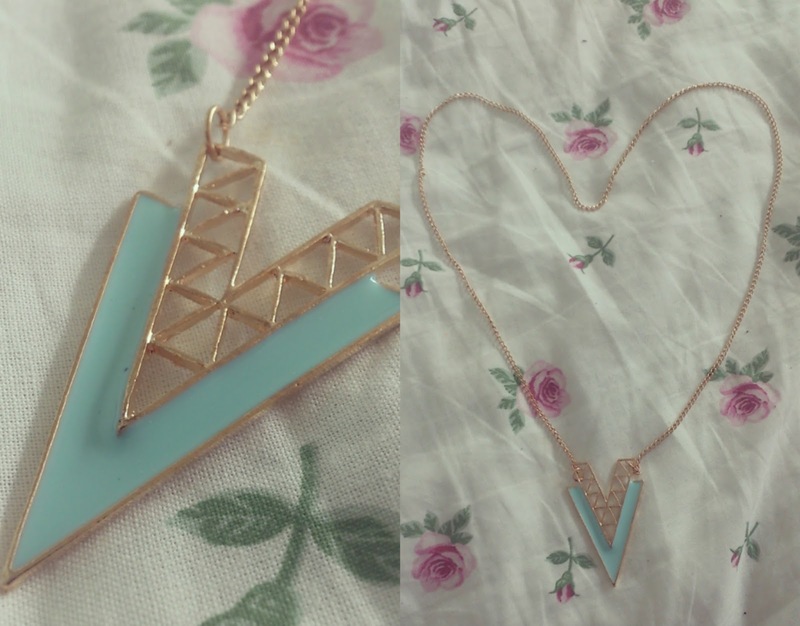 It Retails at £11 so it is a little more pricey but I think its definitely worth every penny! The brush on this one is lovely as it is narrow and non-fibrey, more like a comb! & it is so flexible, so you wont get smudges and clumps - EVER! 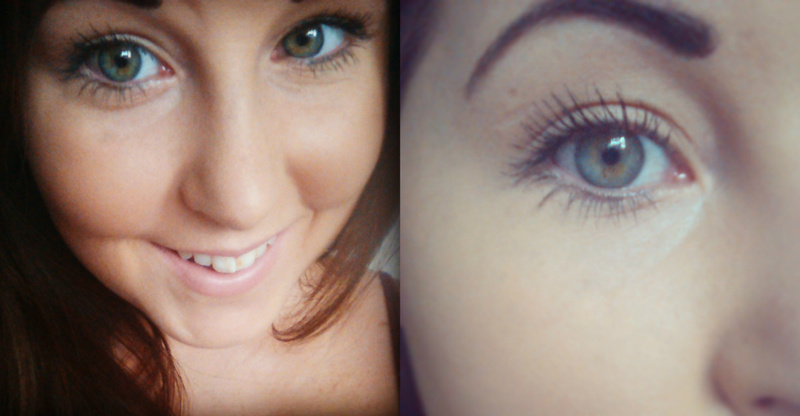 I love the way my lashes look after using just one swipe of this mascara, they look long and dark but still natural! Every lash is coated but not spidery legged so it gives a really fullon effect even without eyeliner! The Mascara promises 'up to 60% longer looking lashes and intensity lash by lash' and I definitely agree! This would be great for people with shorter lashes due to the flexibility of the brush! 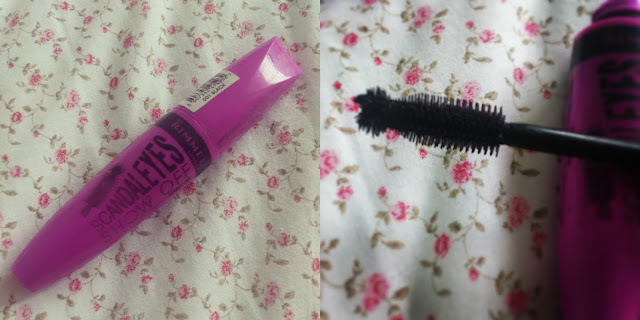 Third Up is Rimmel London Scandal eyes show off Mascara, this retails at £7! This claims to be a 'Breakthrough brush' with a Flat side for volume and a ball tip Ball tip for lasting lift - Much like the new MUA LASH BOOM. Overall, I rate this a 3/5, the colour is great but the price and result are not so. Finally, I tested out the Fibre Lash Extend by ModelCo., This retails at £28 so it is on my top end budget-wise. The Brush is wide and spiral so you get plenty of product in one swipe! & There is even a cute mirror on the back of the tube so you can apply on-the-go! 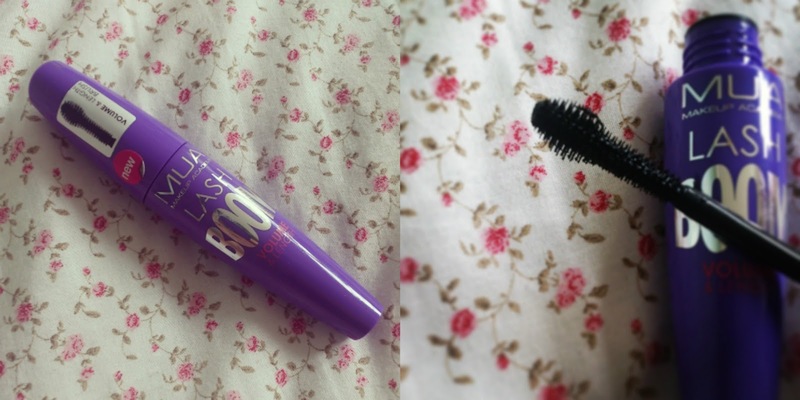 I really liked this mascara as it opened my eyes and made my lashes so long, thick and dark- still without clumping! The Product Promises ' rich, glossy formula combined with innovative, inbuilt lash fibres to give you a false lash effect from every angle. ' and it was so right! 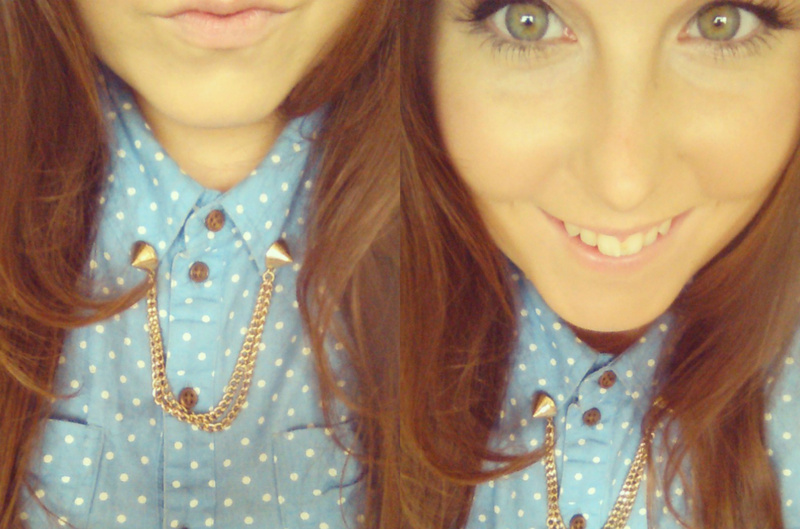 I was so pleased with the way my lashes looked and my mum even asked me if I was wearing falsies! The mascara really felt as though it added extra fibre to my lashes to help define them! Overall I give this a mega 5/5 - although it is expensive I was so pleased with the result that I would treat myself to this one! Dont forget that your eyes are precious and sensitive - so renew your mascara ever 3-6 months and never share with anyone else (for once!) or you could be letting bad bacteria into your eyes!